Alon Oz is a senior associate at Gideon Koren & Co. He earned his LL.B. in 2000 and was admitted to the Israel Bar Association in 2001 after completing his articles with the Magistrate’s Court in Netanya. Alon conducts litigation in a variety of fields of Israeli law, including Civil and Commercial Law, Tort cases and Execution of Judgments, Traffic Law, as well as non-felony criminal cases. 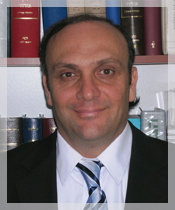 Alon is a Certified Public Accountant and also holds a Bachelor’s degree in economics. He is also a qualified mediator specializing in civil conflicts and family conflict mediation. Alon is fluent in Hebrew and English.